Mary Richardson Daheim started spinning stories before she could spell. Daheim has been a journalist, an editor, a public relations consultant, and a freelance writer, but fiction was always her medium of choice. In 1982, she launched a career that is now distinguished by more than sixty novels. In 2000, she won the Literary Achievement Award from the Pacific Northwest Writers Association. In October 2008, she was inducted into the University of Washington’s Communication Alumni Hall of Fame. 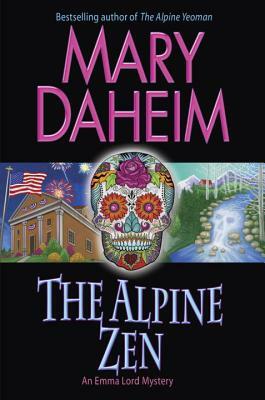 Daheim lives in her hometown of Seattle and is a direct descendant of former residents of the real Alpine, which existed as a logging town from 1910 to 1929, when it was abandoned after the mill was closed. The Alpine/Emma Lord series has created interest in the site, which was named a Washington State ghost town in July 2011. An organization called the Alpine Advocates has been formed to preserve what remains of the town as a historic site.